To make your wedding even more pleasant; see what Holiday Inn Wembley can do for you! Wembley European wedding package provides you with a complete reception and a comprehensive choice of food for your wedding breakfast. They ensure all the important elements are included, so you don’t have to worry about any additional expense. 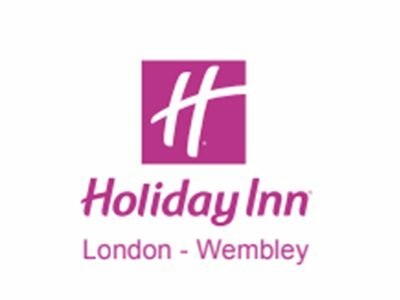 Holiday Inn Wembley is the ideal Asian wedding venue, whether you have a traditional theatre style ceremony or prefer a more relaxed, informal event, they offer flexibility and a wealth of experience to make your dreams come true. If you would like something different and a little more bespoke, please let them know and they can organise a special quote for you. Your Meeting, Your Way: Original and uplifting catering choices to fuel your delegates plus always on hand to help with the technicalities and last minute requests. Meet Responsibly: Holiday Inn is a responsible company, working smarter for a green tomorrow. Business Club: The meetings reward programme is the way of saying thank you for your business. Bookings made easy: Holiday Inn flexible and experienced team is here to help, online and on the phone. Service guarantee: They’re committed to making your meeting a success, and getting things right first time. The personal touch: They’ll take care of everything – from your initial contact and throughout your event, to saying goodbye. They’ll be there to give you a helping hand. See the European wedding and Asian wedding flyers for more information. Quote ‘WLB’ to access promotional rates for West London Business partners.